This is where Blackpurl comes into the picture. The company provides a dealership network platform that standardizes data and provides complete visibility across an OEM’s dealer network while delivering an exceptional experience for the dealer, users, and customers. It is built on top of the Salesforce platform, which enables Blackpurl to efficiently aggregate data from multiple sources, empowering OEMs with real-time data to leverage actionable insights for improving their operations across every region around the globe. Kelley emphasizes that mobility and simplicity are the two vital elements that aid Blackpurl in providing an engaging interface and an exceptional experience for the staff, the dealer, and the customer. Blackpurl’s platform delivers an intuitive user experience through an interface that can be used on any device and accessed from anywhere. “It becomes extremely difficult to deliver a consistent and seamless DMS experience on a variety of devices. Our platform achieves that much-needed engagement, bolstered by the capacity to handle various workflows irrespective of the dealer’s profile,” adds Kelley. 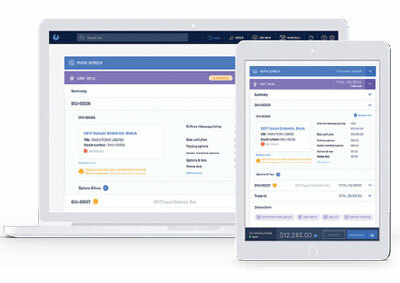 Blackpurl automates workflows and processes within a dealership, ensuring that the staff is always following standardized processes from a unit sale to a service. Strengthened by these capabilities, OEMs now have complete visibility and better control of the dealer network’s operations, and are empowered to drive operational change across a dealer network in real-time and create a consistent brand experience. Owing to the enhanced visibility, OEMs gain insights into how each dealer operates within the network. Along with their dealer network platform, the company has partnered with clients across the globe to remove friction and complexity with innovative AI products. Traditionally, a significant amount of time and resources are spent on inventory management and ensuring that the products reach the right customer, at the right time. A client with a similar predicament wanted to introduce changes in the inventory management to save time and increase their profits. Blackpurl implemented a cross-platform solution, customized to the client’s requirements, which analyzes, recommends, and automates the ordering of multiple types of inventory as and when required to reduce the occurrence of rush orders. It minimized the standing inventory evaluation for dealers and increased the overall turnover rate, thereby maintaining a timely check on available inventory at regular intervals. Numerous such engagements have cemented Blackpurl’s foothold in the dealership management landscape, empowering clients to maximize the return on their investments across dealership networks. “Through our DMS, we are trying to achieve instrumentation of the dealership networks of OEMs to bring about adequate data interoperability, rather than resorting to disparate management systems for each dealership or data point,” says Kelley. The interoperability serves as a differentiating factor for Blackpurl’s platform when compared with traditional DMS that provide zero-sum returns. This unique value proposition extends Blackpurl’s reach across three continents, creating more opportunities to deliver the scalability and sophistication of its platform to various dealership networks.